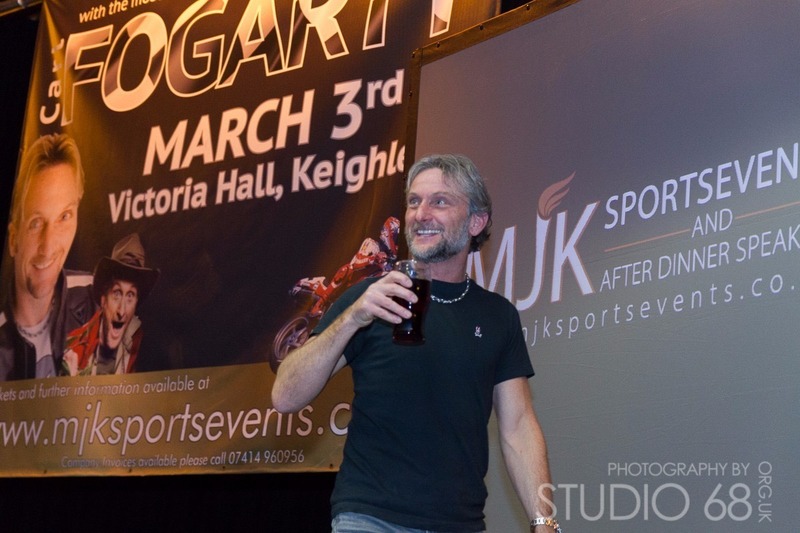 Following the success of recent events and to coincide with his new book we are proud to bring you an evening of entertainment with the Undisputed King of Superbike racing Carl (FOGGY) Fogarty. Come along to a venue near you and hear the man himself talk about his unbelievable career and his amazing achievements on and off the track. Starting from the beginning of his career we take you all the way through to Carl’s retirement in the year 2000. We also take you through what Carl has achieved since retiring as a rider such as being a team owner and winning I’M A CELEBRITY (GET ME OUT OF HERE). Carl’s new book THE WORLD ACCORDING TO FOGGY which is out in April 2018 is full of things that nobody knew about other than himself and his family. The book is a must read and as well as having a picture with the man himself the signed book will be available on the night to all of our guests. 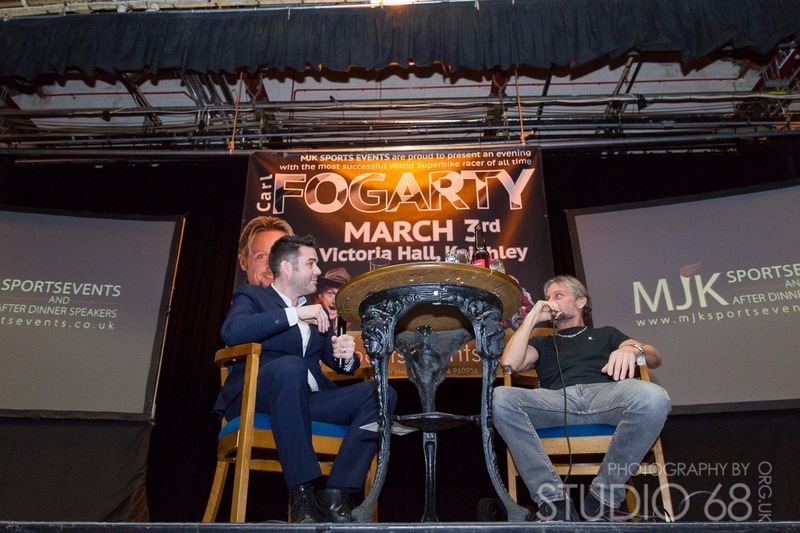 FOGGY is one of the nicest men in sport and following sell out shows in Whitehaven, Lincoln and Keighley we can not wait to bring you this full production event with a sporting great. THE MAN IS QUITE SIMPLY A LEGEND. Please click on the relevant link for tickets and full event information. includes a signed Hardback copy of Carl’s new autobiography The World according to Foggy and a picture with Carl that will be printed on the night. includes a picture with Carl that will be printed on the night. Entry to the show only.